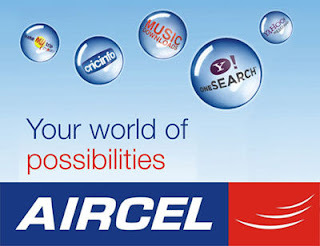 Aircel is an India based mobile network operator. It is a leading mobile operator in Tamil Nadu, Assam, North- East and Chennai. In these days Aircel provides 3G service in 13 telecom circles. Company’s headquarter located at Gurgaon. They introduce new ideas in market like SMS bank, Phone Book, Reminder and Talking SMS. Aircel is India’s fifth largest GSM mobile service provider and provides best wireless voice, messaging and data services. It is famous for Pocket Internet cards for Free GPRS service. They have more than 51.83 million subscribers at this time. Aircel 3G Prepaid Plans Aircel provies wireless voice, messaging and data services. The cheapest Aircel 3G Planis a 3g aircel pocket internet smart in which user can access unlimited high speed internet for rs.8 with a validity of one day. Aircel 3g data tarrif is very cheap and economical when compared to other 3g services.